It’s fashion week, and who is better qualified to discuss fashion than a science writer, right? But seriously, as an Anthropology major I have always found fashion to be an interesting topic to study. For thousands of years we humans have used fashion to express ourselves. Whether we are trying to say “I’m a totally normal person don’t pay any attention to me” or “look at me I’m a rebel and I have opinions about things” our fashion tends to mirror our inner sentiments. Sometimes without even meaning to, we reveal little details about ourselves through the way we button our shirt, whether we tuck it in or not, whether we’re light and bright or dark and somber. To me, that’s fascinating. So today we are going to talk about a very popular fashion statement: tartan. Why, you ask? Because tartan is one of the few patterns that has transcended class and cultural boundaries. Everyone wears plaid, whether you’re a punk or professor, cowboy or Scottish Clansman. Why is this?! This blog will follow my journey for answers to this question. In Scotland, a pattern consisting of crisscrossed horizontal and vertical bands of multiple colors is referred to as tartan, “plaid” is derived from a Scottish Gaelic word that originally referred to a specific garment: a blanket or cape that would be worn over the shoulders. So why do Americans use that term to refer to the pattern? It is possible that in the USA we refer to the design as plaid because its use in the New World did not stem from Scottish Nationalistic pride but rather the need to use whatever was available to stay warm on the often cold norther frontier. Most likely the first plaid garments in the Americas were fashioned from blankets imported from Scotland, the home of renowned wool weavers. (See also the popularity of clothing made from Hudson’s Bay Blankets). It is the pattern’s association with frontiersmen and the working class in general in the New World that originally lead to plaid’s popularity on this side of the pond. 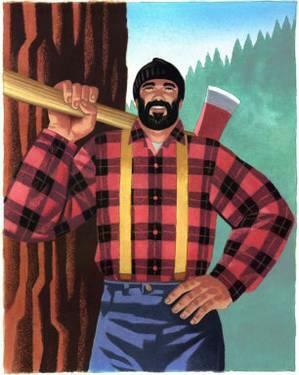 The distinctive red and black buffalo plaid or “buffalo check” shirt was first produced by Woolrich Woolen Mills (still in business today, btw, and they have cool stuff) in 1850. Since then the shirt has gained legendary status. In 1924, Pendleton introduced their “sporting” plaid shirts for men. Basically these were plaid wool shirts with more intricate patterns. The shirts became so successful that in 1949 the company began producing women’s clothing in the pattern. To give you an idea of how popular these shirts were, The Beach Boys originally referred to themselves as “The Pendletones” after their favorite shirt brand. Their name was changed to “Beach Boys” by promoters without the band even knowing. Interestingly, some modern Brits do use the word plaid when referring to casual, non wool tartan shirts. In my opinion, this is likely due to a cross pollination of US/Canadian associations of the material, but to state that as a categorical fact would require a lot more research. Cherchen Man, discovered in Tomb 2 at the cemetery of Zaghunluq near the town of Qiemo (Chärchän) in the Taklamakan Desert of north-west China. 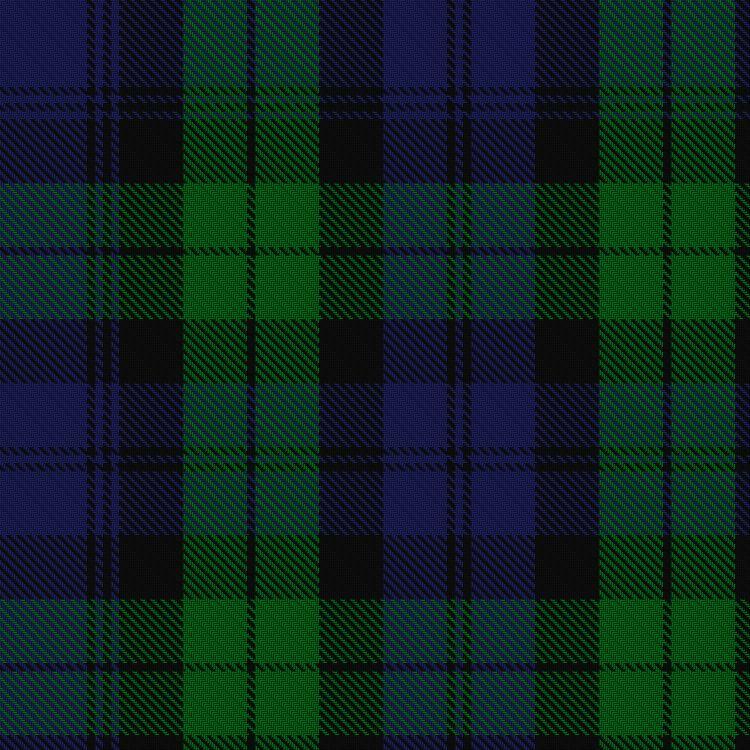 Although today we usually associate plaid with Scotland (the fabric is often called tartan there, but it’s the same thing) the earliest surviving sample of plaid material actually comes from the Tarim Basin in eastern China. In 1979 archaeologists working at a site called Qizilchoqa (Red Hillock) unearthed a cemetery containing mummified remains of individuals with light brown to blonde hair and thick beards on the men, they were also clothed in garments fashioned from plaid cloth, dated to circa 1200 BCE. Studies of these and many other burials in Central East Asia have revealed very early interactions between pastoral peoples migrating from places such as Europe, Siberia and Even India, thus adding a new chapter to bronze age human history and revealing that civilizations of the East and West were never so isolated as many think. It is yet another way that plaid has rebelled against the status quo. You can read more about the mummies of Central East Asia in THIS fascinating article. Tartan was a rebellious fashion statement long before punk rock was a thing. After Bonnie Prince Charley’s Scottish rebel forces, called the Jacobites, were defeated by British forces at the Battle of Culloden in 1745, King George II had the Dress Act passed, which made it illegal to wear tartan. However, shortly after the act was passed, the king’s rebellious son, Frederick, had a painting of his own son commissioned in which the boy wore a tartan coat. This is believed to have been the prince’s subtle way of criticizing his father’s treatment of the Scots. Rebellious indeed! You can watch a documentary about the disfunctional relationships of the early Hanoverians HERE. Before Bonnie Prince Charley rolled into Edinburgh, his father, James Francis Edward Stewart, had attempted a previous rebellion in Scotland during the succession of George I of England in 1714. In case you’re wondering why the Stewarts kept trying to take over England, it was because they were once the ruling family, however they (or more specifically James II) had been deposed during the Glorious Revolution. Because the family originally hailed from Scotland, they tended to begin their campaigns there, where they would be met with more support. You can read more about that HERE. Anyway, back to plaid. In the Aftermath of the 1714 rebellion, the British crown formed six independent companies of loyal highlanders to keep order in the Region. 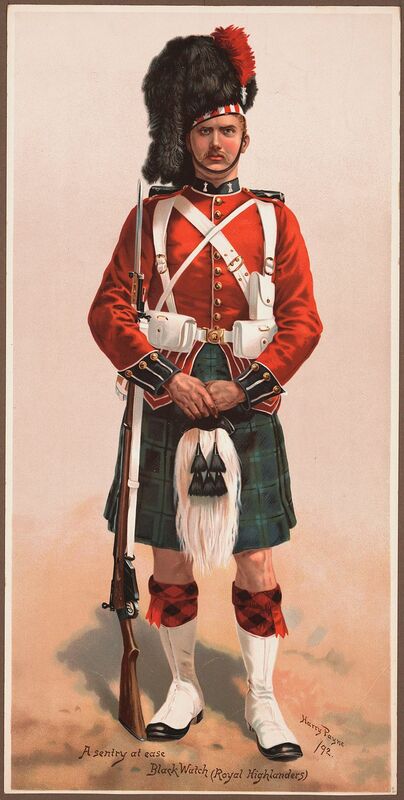 These Regiments came to be referred to as the Black Watch, partly because of the black, green and blue plaid that eventually became their uniform. Eventually these regiments were consolidated into the 42nd Royal Highland Regiment. This regiment became famous for two things: their bravery in battle and their fashion. They, and their “Blackwatch Tartan” kilts became legendary for their bravery in the French and Indian Wars, the French Revolutionary War, The Napoleonic Wars, The Crimean War, The Boer War, World War I and World War II. World War II seems to have been the last time they wore kilts into battle, and even then it was only certain individuals who chose to don the iconic garment. The regement still exists, but their symbolic kilts have been relegated to formal dress only. The Black Watch was exempted from the Dress Act of 1746 and therefore it’s members were some of the few subjects of the British Empire allowed to wear plaid for almost forty years until the Act was repealed in 1782. During that time, their involvement in the French and Indian Wars helped to basically make plaid cool. That, combined with the fact that most people were not allowed to wear it, so therefore wanted to wear it more than anything else helped to cement plaid’s status as a Scottish symbol of nationalism. So plaid is both a quiet symbol of rebellion, and a symbol of nationalism? Only in Scotland, with it’s complicated political history, is that possible. These days tartan is considered a symbol of Scottish nationalism and the legendary associations of specific color variations and patterns with specific clans in Scotland is often discussed on the internet. Interestingly, although tartan has been associated with the Scottish Highlands for more than 500 years, the idea of a Clan Tartan is fairly new. In the early 1800’s, after the repeal of the Dress Act, wearing Tartan experienced a peak in popularity not only in Scotland but in all of Great Britain. 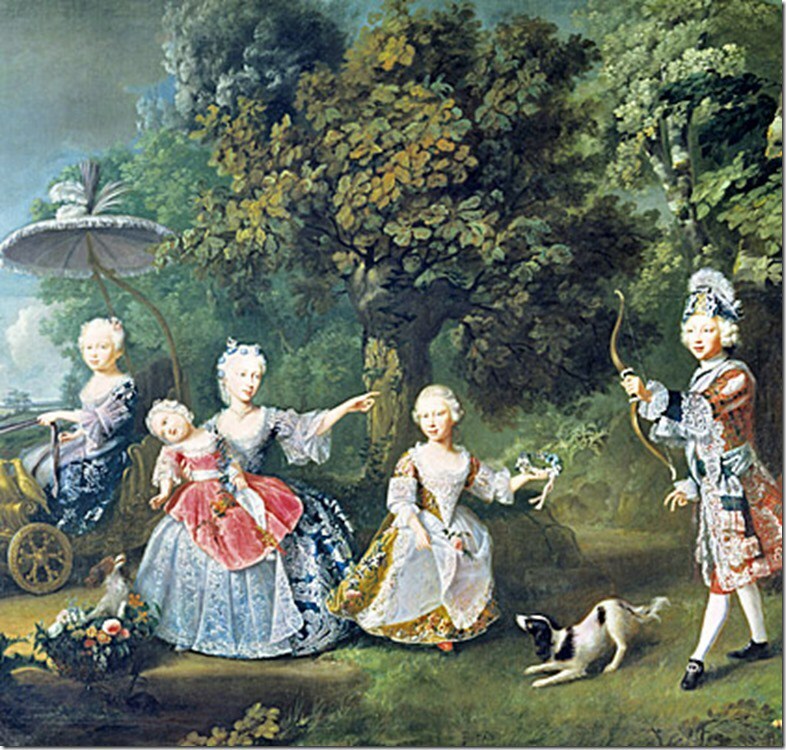 During this time Families started adopting a particular color combination as their “Clan Tartan”. Before the Dress Act was passed in 1746, there were numerous variations of tartan, but these variations were related to regions rather than specific families. The weavers of each region produced their own pattern with dyes sourced from readily available local ingredients. So, in conclusion, plaid has a lot of stories to tell. Over the centuries nations, social classes, popular movements and individuals have adopted plaid as their uniform and a way to distinguish themselves in a big world controlled by larger forces. You could say that plaid is the unofficial uniform of the outsider. For some reason, people seem to draw connections between the pattern and wherever they consider home to be. Perhaps that is because plaid stands out, catches the eye. It’s unlike most patterns we see on textiles and therefore we are more likely to note it if our grandparents, our heroes or our role models happen to don it at some point. In truth, it’s impossible to know what exactly the draw of the pattern is. But you can’t deny that, for whatever reason, plaid is more than just a fad.